We are wrapping up our third quarter grading period this week so there are a number of assessments we're required to administer. My kiddos took a language test today. 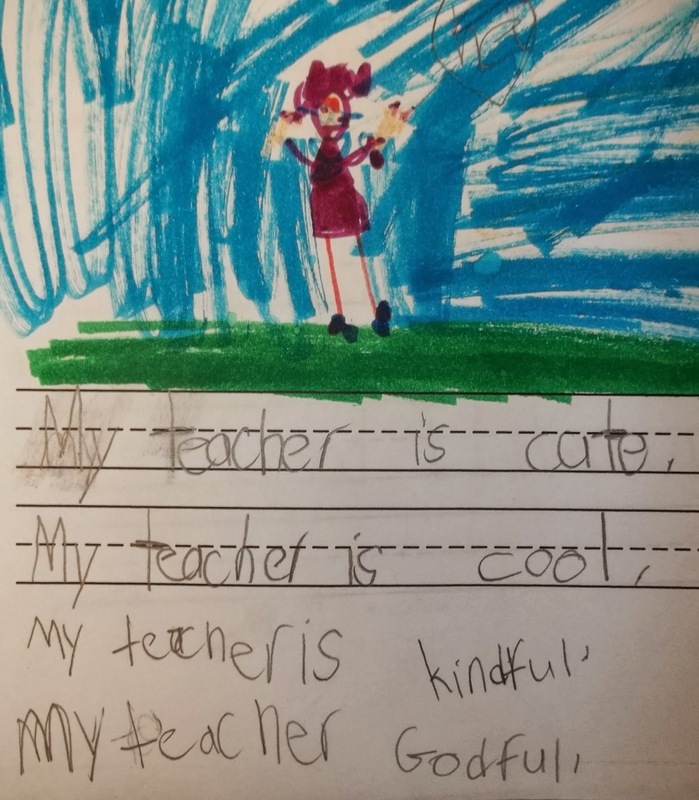 Draw a picture and write a sentence describing your teacher. Use 3 adjectives. Apparently, she thinks very highly of me! Hi Leslie! I was just missing you and wanted to say hi! OH I love those comments about you. :) Pretty good adjectives, if you ask me! Also, I just wanted you to know that I think of you always because I use my clipboard every single day. It is always on my desk, making me happy!